Whether you’re in search of chuckles, giggles, or guffaws, we’ve got the perfect night of comedy to induce every kind of laughter! 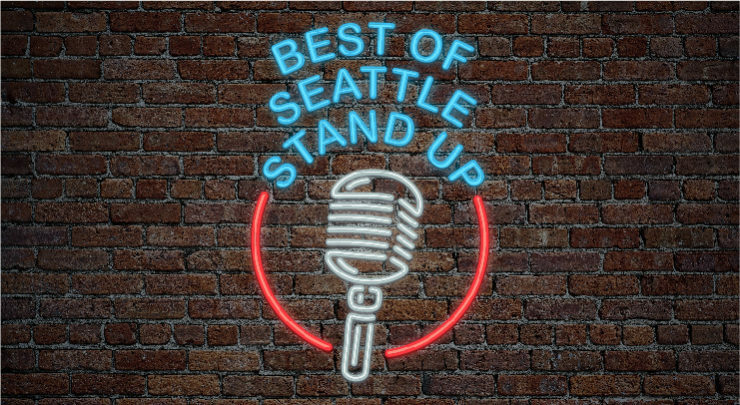 Your favorite comedians from recent semi-final rounds of the Seattle International Comedy Competition are back at the Washington Center for one hilarious night of stand up. Their careers have taken off and they’ll have you rolling in the aisles! The hilarious Kelsey Cook will be headlining, Bengt Silent G Washburn is opening, and Kane Holloway (Kelsey’s fiancé) will host — after all, it is Valentine’s Day!